The Chapel of St. Michael the Archangel.. Yesterday morning began in a typically spring fashion, cloudy with a touch of rain! Thankfully by midday the clouds had dispersed, even if it was only for a few hours, a few hours is sometimes all you need :) I've seen the The Chapel of St. Michael the Archangel on the hill many times when I've driven through West Leederville, yesterday I had a lovely reason to stop. It's quite difficult to get a clear shot of the church, the surrounding trees have obviously been here as long as the church, will have to Google a wee bit more to find out exactly how long that is, look at the two awesome beauties below! The wonder and beauty of age..
Railway stations hold a fascination for so many, myself included.. that's why it's hard to believe that in all the years I've lived in Perth, even though we pass by every time we head out to Guildford I've never stopped in to the East Perth railway station, formerly the East Perth Locomotive Depot, could it be that the building itself, below taken while driving past :) built in 1976 is not so inspiring! Return of the Carnaby's black cockatoos..
Only kidding! There's no way with my knee I could even contemplate the tango for at least another six months and even then it's pretty unlikely :) We were there for another reason, the quarterly Northern Exposure Photo Market in the Leederville Town Hall. Queuing below, the entry fee five dollars.. not bad for a right old rummage through some vintage and up-to-date photography gear..
A hive of activity on the inside! It was particularly busy yesterday, everyone looking to find that something special.. sad to say I didn't but it's always fun trying :) Hope you had/are having a super weekend, happy Monday, take care and stay safe.. P.s. is this the sort of event you would enjoy? Is this something you see often in your city or town? This was a first for me. On my many trips into the city I've never come across religious placard carrying before.. it was a Sunday so that might explain it :) There was no argy-bargy, no forcing his opinion, he didn't try to converse, just strolled around quietly with his sign.. personally I prefer to have my camera in my hand but each to their own right :) Happy Sunday, take care and stay safe.. Exploring the Gandhi within.. 'Mahatma in me'..
but not for man's greed'... Mahatma Gandhi. This beautifully reflective artwork created in stainless steel is the work of one of India's leading creative artists Vibhor Sogani and is part of the Borderless Gandhi Exhibition titled 'Mahatma in me'. Picking up and reflecting the surrounding colours of Elizabeth Quay it took me only a second to see Gandhi's profile but once locked in it was clear, each piece skillfully executed..
Perth Heritage Days 2016.. His Majesty's Theatre. 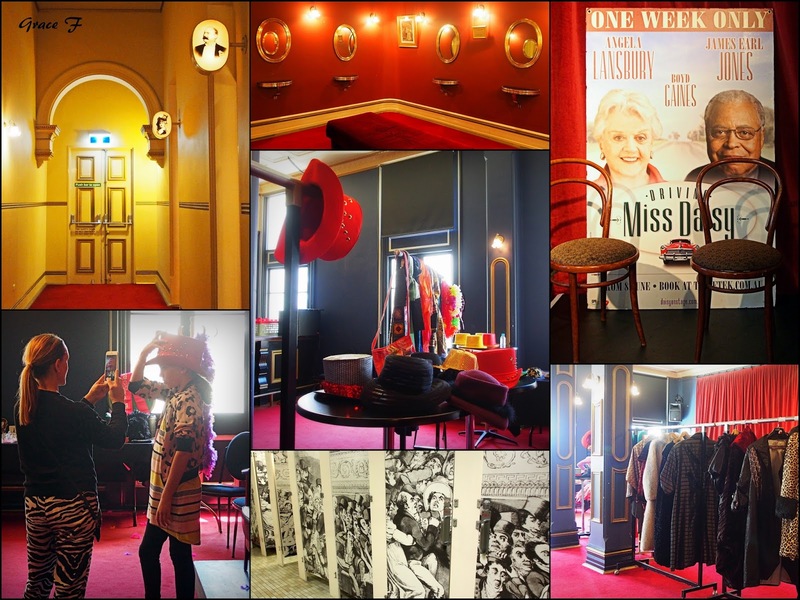 His Majesty's Theatre, just one of the many venues open last weekend during Perth Heritage Days 2016. Named after King Edward V11 reigning monarch of the time, the theatre opened it's doors on Christmas Eve 1904. You have seen 'bits' of His Maj before :) using my new semi fish-eye lens is the only way I can get the whole building into shot. Four storeys of Edwardian Baroque fabulousness, its crowning glory the painted dome, which was originally designed to slide open on a warm summer evening to allow the audience to enjoy the cooling breezes.. I would have loved to experience that! During major renovations in 1977 the dome was permanently sealed and redecorated to match it's original 1904 design..
Telethon 2016.. Take one action! Double cheers for the weekend! Town and country.. different yet the same. Quick snapping in the city..
That's spring weather for you! 'A farm that gave a suburb it's name'.. The Duyfken II.. A stiff south-westerly! 628 Stirling Hwy.. 'on the fly'! CDP Theme Abandoned.. with a happy ending!